I have a small confession to make. Well, I have more than one, of course, but one for right now…. I mean I really like them. Sometimes I can’t resist the urge to check online. Despite myself. Despite my best efforts not to do it, I still do. I started to think about this urge as I pondered this week’s torah portion — Mattot-Masei. 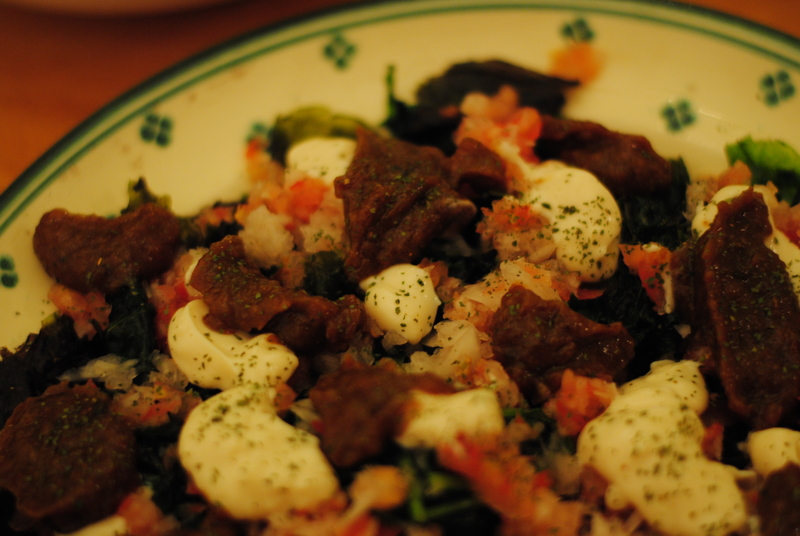 But before I get to that, I want to talk about dinner tonight — Palak Chaat. In my searching, I found that the word ‘chaat’ derives from the Prakit — चट्टेइ –(caṭṭei). Meaning: to devour with relish, to eat noisily. And that is precisely what I did. It was that good. Palak Chaat is a fried spinach dish with tamarind and date chutney. Sweet and savory, crunchy, yet soft, melting in your mouth. It’s a modern twist on other chaats (diced onion and tomato)– with curry powder, chili powder, and cilantro with sweet fruits and vegetables. When I read about Chaat, it was right after my daily perusing of My Jewish Learning. This week’s drash made me stop and look up from my glaring computer screen. Hello, 9AM me, cup of coffee in hand, half-asleep, waking up on the job. I envisioned myself already consuming this fried spinach dish inspired by an appetizer that I had with my family at a famous DC Indian restaurant, Rasika, to celebrate my conversion/affirmation/mikvah-dunking back in April. (Yes, I eat Indian food at 9AM often). 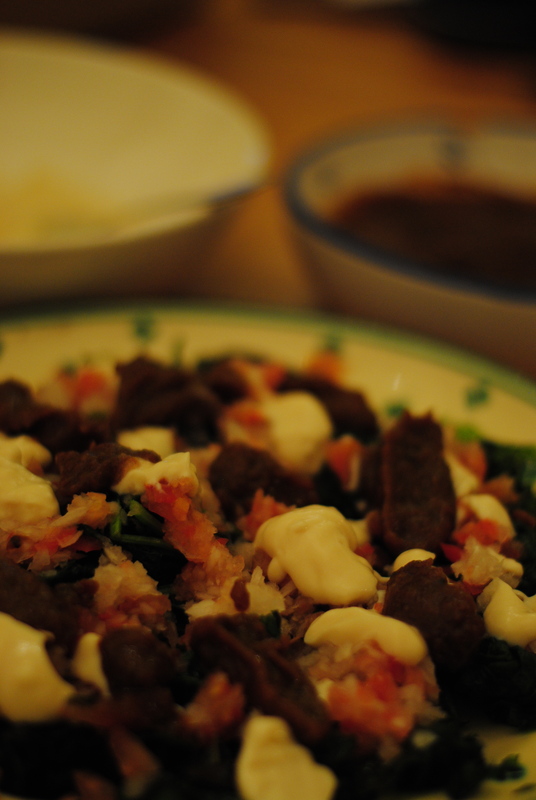 At the time, it was a spur of the moment additional appetizer, but the whole table equally loved it. It occurred to me, as I remembered how much restraint it took to not greedily grab the palak chaat dish in its entirety, how it made total sense that the word itself would mean to devour with relish. I suppose that you can devour without relish, but, often, hopefully, the two go hand in hand, you consume something ravenously because you appreciate it.. a lot. Maybe too much. (I should also mention that I often either forget or don’t have time for breakfast — which, I’m sure, plays some part in my thought-process on week days). I started to think about the really delicious things I’ve consumed in my lifetime — dishes from around the world were my staple, and they were often meat-centric. I thought about how I first had to grow to contain my yearnings, to ignore the little voice in my head that told me to grab what looked good before everyone could get their fare share. Then I thought about how it took me a solid 7 months to “become vegetarian,” but, perhaps more importantly, it was a period of time that I spent planning, preparing, even training myself. Some part of me recognized that if I’m planning to let go of something that I once devoured with relish (meat), that I would often crave, I couldn’t just make the urges go away, I could not ignore them. It’s rare for people to make hard and fast decisions that hold, and to do so cold turkey — to look away one day and be content from then on. I know for myself that I could not just ignore cravings, yearnings, but I also realized that I could, in looking at my desires and urges, alongside my intellectual pursuit for the truth of our farming system and to embrace the highest ideals of the Torah, I could, with practice, minimize the weight and influence of my primary compulsions. I started to think about, instead of looking to the stars for advice, for predictions about what is in your immediate future to overcome, there are baser, more obvious, and perhaps more globally important obstacles that right there, just without the advertisements and the sense of hope for personal gain. In becoming vegetarian, in containing my desire to eat meat, I feel that I am controlling my destiny a little more — and not just my destiny, but the destiny of our planet. As the Beet-Eating Heeb suggests in “No Meat – The Nine Days,” one can contract from the space of our inhumane and undeniably unethical habits surrounding our consumption of meat to open up space for something greater. What he is referring here is to the kabbalistic idea of tzimtzum — a wonderful idea about the origins of our world, a world that came about through the contraction of light to form free space. In some sense, you can create your own horoscope, evaluating yourself not by astrological signs. Instead you can augment the world through your daily choices, with your own volition, in refence, to something bigger than yourself. In this case, Parashat Masei can get us part of the way there, as well. My Jewish Learning’s drash on Parshat Mattot-Masei, as usual, hit some of what was already revolving in my head. Questions rise about sexism, about grappling parts in the Torah that make me feel uneasy, and, sometimes, even ashamed and angry. In Parshat Mattot-Masei, women’s vows are to be held under man’s rule — should either one’s father or husband nullify it, women are under no obligation to themselves or to their convictions. Presumably because woman’s choices are made under the shade of irrationality — they are intentions that may not reach up to attain action, reliable, steady, constant action (i.e. change). There are plenty of creative ways to get around this — woman represents our underdeveloped goals, our distant, partially developed thoughts, while men represent our fully formed, solid selves. It’s a weak argument and one that, I think, misses the point. This is what Sam Shonkoff suggests in the drash, “Coping with Complexity,” that in the face of hard facts, not unlike the very real human urge to eat animals, even despite the knowledge of the incredible cruelty and pain that comes from it, “it may seem easier in the short term to ignore complexities, but this alienates us from reality. To neglect shalom weakens us as activists and undermines the wholeness of Torah, the world, other people, and ourselves.” His definition of ‘shalom’ is not that of ‘peace,’ but of wholeness — of taking that which makes us uncomfortable and letting it exist. It’s uncomfortable to know that 95% of the meat what is served and sold in America is the flesh of animals with the same capacities as other animals we value as pets and friends — and not only that — those animals are subject to prolonged suffering and terrible death. It’s uncomfortable to know it, and more uncomfortable to think about it at lunch — somewhat ironically, but to not think about it, just takes us that much further from shalom — from wholeness. Today, while getting brunch with my better half, I asked him if today was a “veggie day.” He made the choice for the day, like many days, not to eat meat. Every day it’s a choice. One does not need to be strict about it, but one should acknowledge the urge and recognize the implicit choice. It’s simple, but often, in many ways, we do not — we shy away from shalom, disregarding what we crave, but recognize as wrong. It seems to me that that is changing. Every day is a choice that brings us closer to wholeness — each day connected to the past, but also to our future. I, personally, have issued an injunction on myself, but only after 7 months of serious practice and thought. The desires we have, often to devour with relish, be it palak chaat or anything else tasty, is something that we, even with our intellectual regard, continue to have. And we devour. Our eyes take hold, our vows quiet, or worse, totally disappear, and we move forward to consume in a fury. 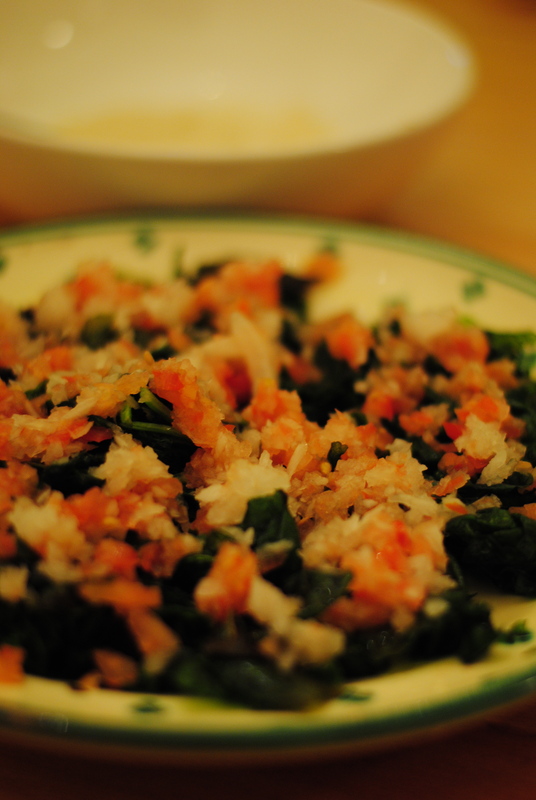 With that said, here’s another recipe that is delicious and wholesome — appetizer or main dish — palak chaat. You can devour this with relish. Soul singing softly in the background. Soak dates for 2-4 hours (or overnight) in warm water (don’t use too much water — just enough to cover the dates). In a separate bowl, combine tamarind chutney with the rest of the dried spices — turmeric, curry powder, red curry powder, and cumin Then blend the dates (along with the water it soaked in) in a food processor. Add to the spice/tamarind mixture. Blend. Don’t add more water. That’s it — your chutney is ready! Easy peasy. Use paper towels over a strainer to drain all the liquid from the plain soy yogurt. This was an adventure for me. 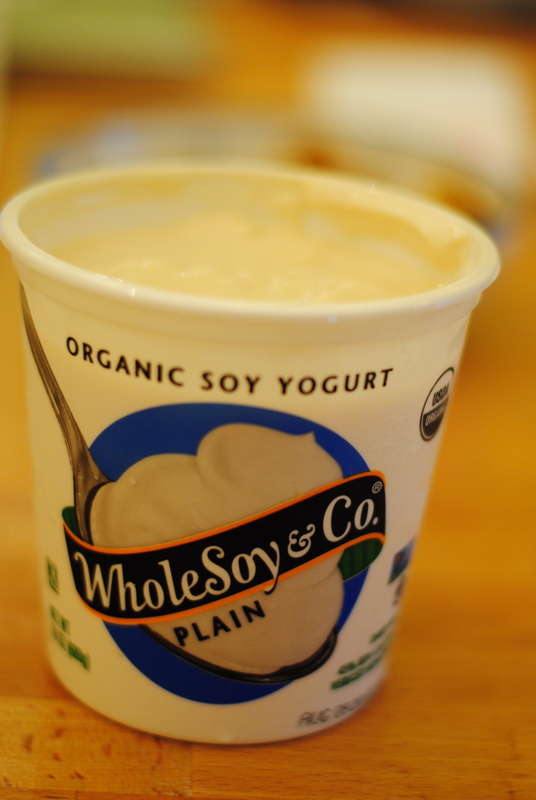 Soy yogurt is a product I’ve never touched before, let alone tried to strain and then consume. It wasn’t bad — and this dish is definitely a good transition to soy dairy products! 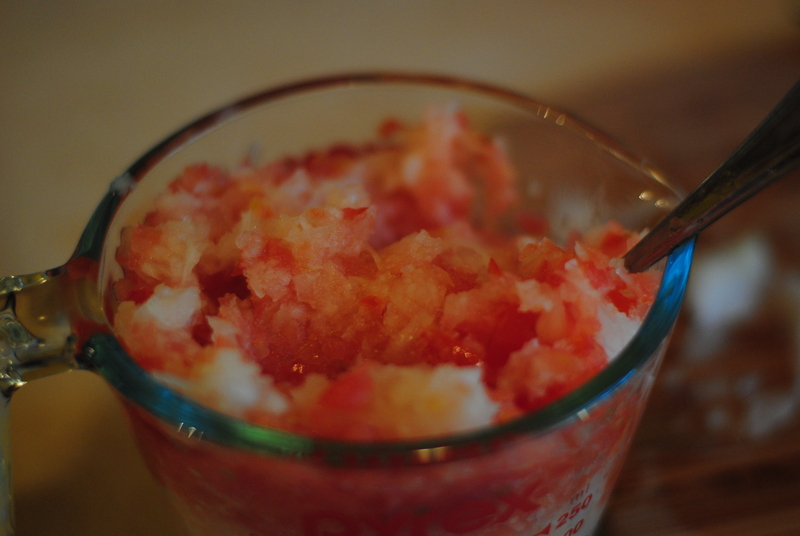 After you have drained the soy yogurt, add the salt and sugar and mix well. 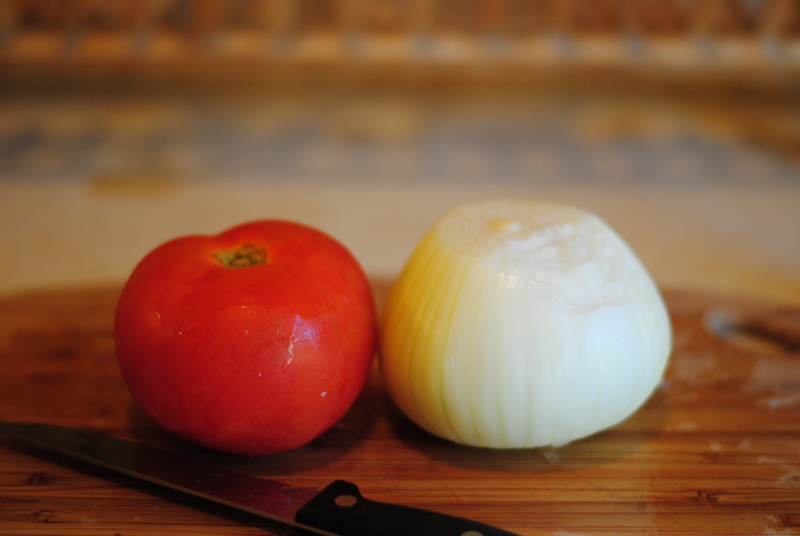 Very finely chop the onions and tomatoes and cut the cilantro for garnishing. Set aside. My guess is that you don’t have a deep fryer. Me neither. I just filled a medium-sized pot with about an inch and a half of vegetable oil. You should deep fry spinach between 375 and 400 degrees, which means that you’re going to want a naturally refined oil (safflower, sunflower, or peanut). I, unfortunately, realized this after the fact and used vegetable oil — and it worked, but a refined oil has a higher boiling point, so it’s all together a better choice. 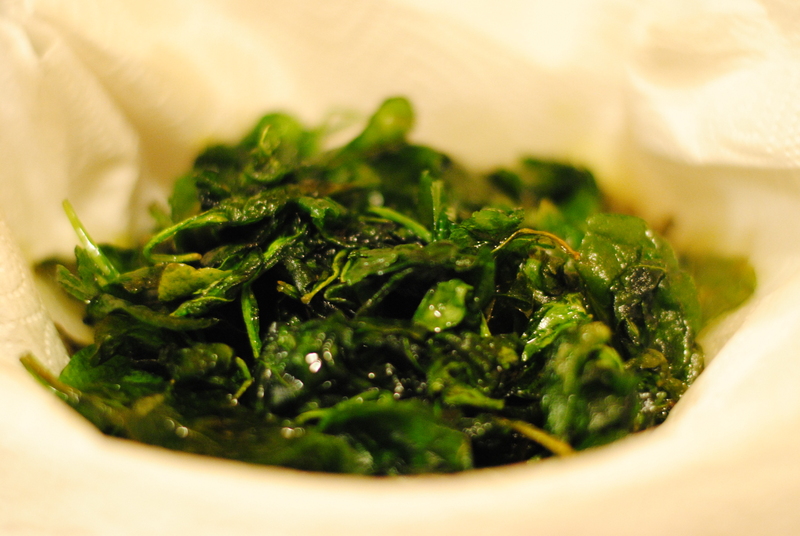 Anyway, the spinach should cover the deep fryer once the oil is preheated. Drop the spinach in slowly. Leave in for around 30 seconds. 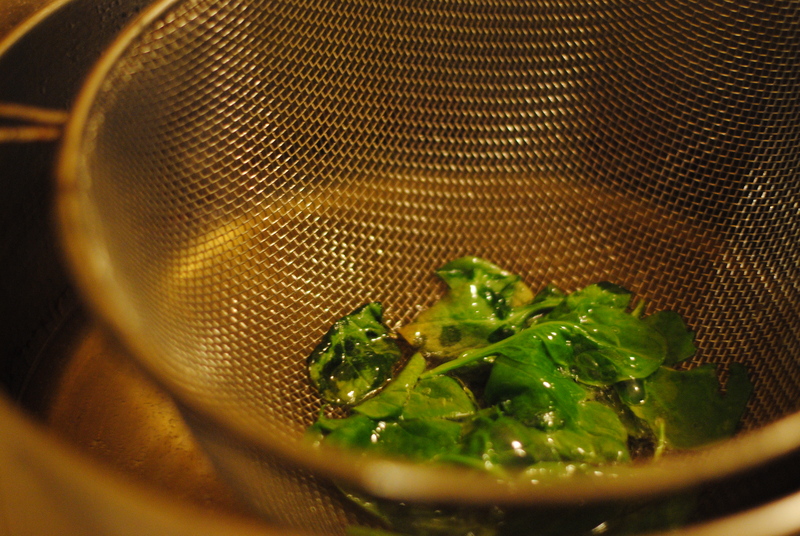 Remove spinach and let spinach drain excess oil in a strainer or on paper towels. Let cool at room temperature. Once the spinach has cooler, put it on a plate or bowl (2-3 inch layer). Sprinkle evenly with the chaat. 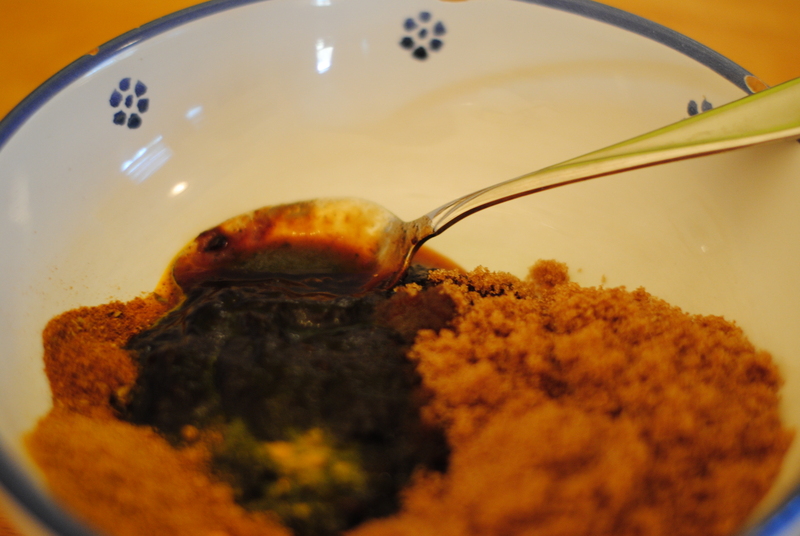 Add a very light layer of the soy yogurt mix followed by even drops of the date/tamarind chutney. Garnish with cilantro. My mom asked for the recipe at dinner. Sadly, we didn’t get it, but after a couple of hours of searching to pull the individual recipes together, plus some additions and some veganizing, I came up with a recipe that produced something fantastic. 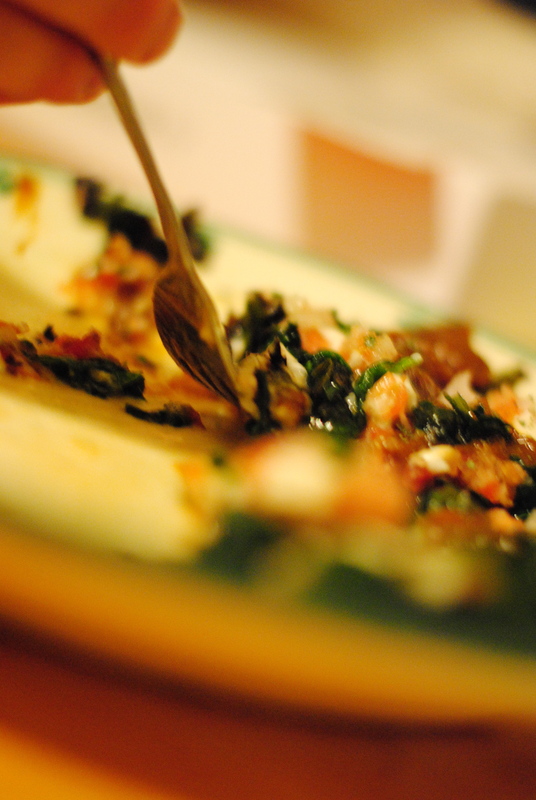 Call it palak chaat or call it something else, it was yum! Delicious to vegans and non-vegans alike. Even the Heebavore’s better half, an admirably mindful meat-eater, agreed. I definitely want to experiment with flash frying some spinach and making something like this. I’m curious– what are the spice ingredients of your red curry? Is it similar to tikka masala or garam masala? I used red curry powder because I ran out of red chili pepper, actually. 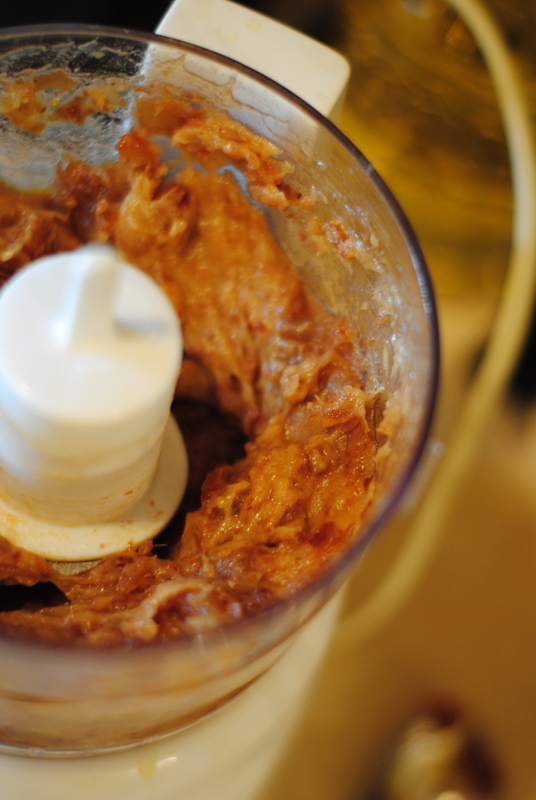 The curry powder was a mixture of cumin, coriander, lemon grass, and dried red chile peppers, I believe. Though if I had had red chili pepper, I would have used only that. By the way, I love your blog! I’m really glad you found me. I hope to learn from yours and all the extremely delicious looking dishes you’ve created! Nice to meet you! This was a particularly beautiful and honest post Rachel. Your urges to devour food with abandon are entirely natural. But you have identified the key to a vegan mindset, which is to make the mental association between meat and animal cruelty. Once that reality-based association is planted in our minds, the meat that we once craved becomes repellant.